Cryopreservation equipment market has been gaining traction due to its widening applications. The increasing investments in research and development of stem cells is expected to fuel the growth of the global market in the near future. 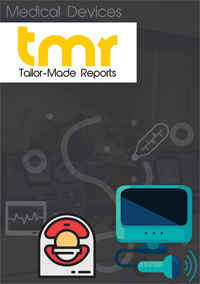 Rapid advancements in technologies and increasing healthcare expenditure have also been identified as the key factors likely to influence the trajectory of the global cryopreservation equipment market. The rising interest in bioengineered products for dealing with the various issues of the human body have also resulted in the soaring revenues for the global cryopreservation equipment market. On the downside, the global cryopreservation equipment market is likely to be hampered by the lack of skilled personnel to handle the equipment. The slightest slip in handling can lead to severe injuries, which is discouraging many to take up careers in this field. Furthermore, market is also likely to be hampered by the use of salts that can prove to be extremely toxic. However, growth of industries such as pharmaceutical, biotechnology, and contract research organizations are projected to offer the global cryopreservation equipment market several avenues for growth in the foreseeable future. The growing number of government initiatives to raise awareness about preservation of stem cells has been noticed as the key emerging trend in the global market. If equipment manufacturers overcome the challenge of high cost and complicated operations systems, the global cryopreservation equipment market could have a wider consumer base. Companies are also expected to invest in product innovation to offer the global market a wider and a better choice of products. Cryopreservation refers to the preserving of intact biological cells and tissues at extremely low temperatures. It commonly involves the preservation of sperms, plant seeds, embryos and eggs are some of the most common applications of cryopreservation. Cryopreservation is when the cells or tissues are frozen off, generally in liquid nitrogen at a temperature of at least (-148) degrees. At this temperature, metabolic processes of the biological tissues slow down to a near halt and results in a delayed decaying process, successfully preserving them for future purposes and storage. During cryopreservation, however, there is a possibility of the destruction of cells as the liquids present in the cells may undergo anomalous expansion as they solidify. It is therefore essential to replace the liquid present in the tissue by cryoprotectants – aids that increase the concentration of solutes in a system – reducing the amount of ice at any given temperature. Dimethyl sulfoxide and glycerol are commonly used as replacements and are mixed with a media or serum in which the cells or tissues are suspended. The media used in cryopreservation generally comprises protein sources, base mediums, and cryopreservative. The role of a cryopreservative is to protect the cell from both physical and mechanical stresses and also to reduce water content in the cells, thereby decreasing the creation of cell-lysing ice crystals. The optimum cell density required to freeze per 1 ml of cell suspension is dependent on the type of the cell to be preserved. For instance, mammalian cells are frozen at a concentration between 1x106 cells/ml and 1x107 cells/ml. The cryopreservation process is facilitated by the use of various cryopreservation equipment such as sample preparation, storage systems, and ultra-low freezers. The equipment in the global cryopreservation equipment market can be segmented into freezers, storage systems, sample preparation systems, and accessories. Regulatory and approval policies are the core governing factors of the market currently. Geographically, North America and Europe exhibit a very high potential for growth in the global cryopreservation equipment market, owing to the extensive use of preservation systems in various applications. Asia Pacific and the rest of the world show high promise to be lucrative regions for the growth and acceptance of these systems. The top factors favoring the growth of the global cryopreservation equipment market include a continuous rate of technological advancement, an increased use of cryopreservation equipment, and an increased investment by key players into the development of advanced systems that offer multiple freezing profiles and automated controls. However, high cost of cryopreservation systems, complicated operations and inaccessibility due to high costs of use are some of the factors that might restrain the global cryopreservation equipment market’s growth. Cryopreservation equipment holds multiple applications because of their growing utility in commercial and academic projects in stem cell research. These platforms are used in various setups, including stem cell banks, biotechnology and pharmaceutical manufacturers, contract research organizations, and stem cells research laboratories. Currently, several players from the global cryopreservation market are introducing products with specific or custom advanced features that can be capable of providing multiple freezing profiles along with enhanced connectivity through microprocessor controls and printers. Thermo Fisher Scientific, Inc., Praxair Technology, Inc., Advanced Cell Technology, Inc., Angioblast Systems, Inc., Boehringer Ingelheim, Gmbh, Cryologic Pty. Ltd., Custom Biogenic Systems, Haimen United Laboratory Equipment Development Co., Ltd., Genzyme Corp., Cell Therapeutics, Inc., Aastrom Biosciences, Inc. and Millipore Corporation are some of the leading players engaged in development of the global cryopreservation equipment market.